As a vegan, you may think that being hands-off and foregoing honey is doing enough to save the bees – and that certainly plays a part in helping keep a dwindling bee population from unnecessary hardship and risk. But you also may not know why staying vegan helps one of the world’s best pollinators. There are plenty of reasons why maintaining a vegan lifestyle helps our buzzy little friends – from reducing the demand for commercial honey which might be contributing to colony collapse to refusing to support unethical beekeepers who are harming and killing bees for their honey. 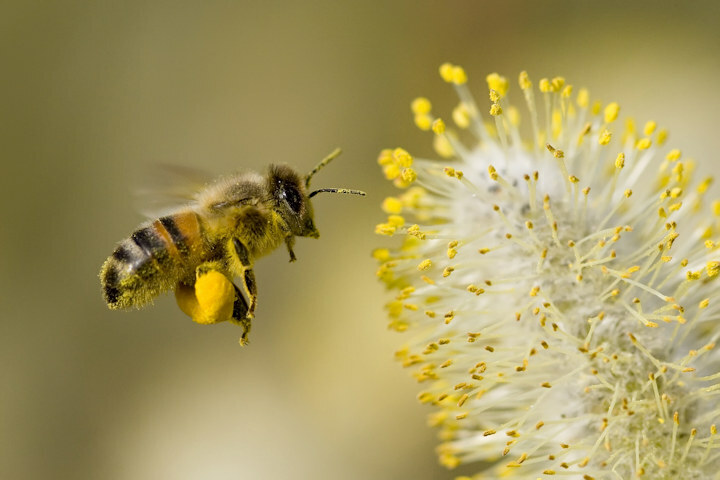 While no definitive cause has yet – as of 2019 – been determined for colony collapse disorder (CCD), one of the possible causes that contributes to this lethal threat to bees is the spread of pathogens from mites to fungi, bacteria to viruses. Even if sharing these pathogens between hives wasn’t bad enough, CCD – where worker bees suddenly die and disappear from a hive – threatens the very existence of bees. Commercial honey farmers must truck their bees from one location to another because of mono-crop planting — the practice of planting just one type of cash crop to satisfy industry needs. As such, bees are subject not only to the stresses of travel (which alone can injure or kill many bees), but a lowered immune system and exposure to new pathogens as they move about. Bees have a naturally violent reaction to those trying to invade their hive – it’s their nature, after all, to protect their home, hive, queen and the young inside. Beekeepers have to don their protective equipment to ward off this normal, natural defense mode. But often it’s not enough – and beekeepers make use of smoke to lessen the chance of injury to their person. The smoke masks the pheromones of the bees which signal other bees that the hive is coming under attack from some threat. Beyond that, it also leads the poor bees to the only conclusion they can come up with: that their hive is on fire. Stressed bees – and imagine the state of stress you’d be in if you thought YOUR home was on fire with your children inside – are not healthy or happy bees. By abstaining from honey, you reduce the demand for honey. That means you aren’t contributing to the cries of “more, more more”. That increased demand means beekeepers must work harder – and push the bees harder – to come up with the necessary supply. If you think your individual choice doesn’t count, you couldn’t be more wrong. Each person who refuses to use honey sends a clear message to beekeepers that they don’t support inhumane practices and that the welfare of the world’s best pollinators means more than a sweet flavoring. And each person who chooses to go vegan adds to the growing list of people who don’t want it – lessening the demand. What Else Can I Do to Save the Bees? In addition to foregoing honey for cruelty-free sweetener alternatives, you can also speak out against monocrop farming and support veganic farmers, who make sure bees have plenty of nutrients year-round. Maintaining a wild space with natural plants in your yard — rather than a boring, grass lawn — can also contribute to keeping the wild bee population thriving. As a vegan, you already do so much to help reduce the cruelty to bees and demand for honey, but the threatened loss of bees as a whole affects the entire world: without bees, we’d cease to exist because most of our food – vegan staples included – would disappear. So get out, spread the word and do as much as you can to save the bees.